We left Montserrat in light winds and tried very hard to sail but it was not to be so motor sailing it was. We were heading for Nevis but with an interim objective as well. 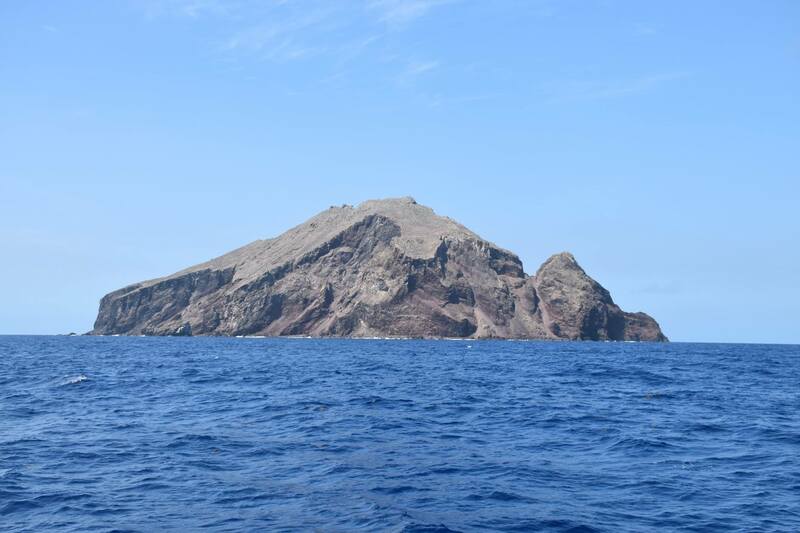 We were keen to pass close to Redonda, a small uninhabited island that is a mythical Kingdom, with quite a few “Kings” claiming to be the rightful heir to this piece of mythology dreamed up by an author called M.P. Shiel in a promotional leaflet for his books. Since the late 1800s the title has been “passed down”, to various literary figures and continues to the present day where it gets a bit murky with multiple claimants from Bob the Bald to Michael the Grey to a friend of Dee’s from California. The Caribbean’s own Hutt River Province. For the record, Redonda is really a dependency of the country of Antigua and Barbuda but don’t let the facts get in the way of a good story. This entry was posted in Antigua and tagged redonda, The king of Redonda by stull61. Bookmark the permalink.